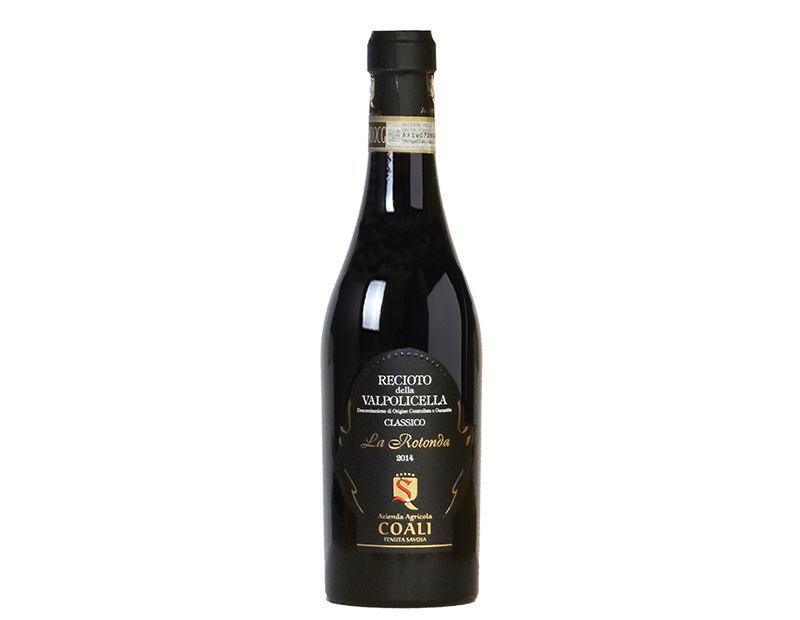 Corvina 60%, Corvinone 20%, Rondinella 10%, Molinara 5% and other typical grapes 10%. Owned vineyards on the hills (300 m above sea level) of S. Ambrogio di Valpolicella highly suitable land, which is south-facing. Our Recioto is exclusively produced from our own rigorously selected grapes. It follows a drying process of 4 months after which the grapes are pressed and placed in fermentation. Maceration with the skins for 20 days using traditional techniques and daily mixing. 15 months in oak barrels with further completion in bottle before release. Elegant ruby red garnet heart. Very intense bouquet that rangers from black cherries and berries with hints of cinnamon to other spicy notes. Warm velvety and sweet. The structure in massive and full-bodies with a long and balanced finish.